Creator of meaningful experiences who transforms companies and peoples' lives through the understanding that "Anything Is Possible"
YOUR AUDIENCE IS GOING TO LOVE HIM! SECURE GIOVANNI NOW FOR YOUR ANNUAL MEETING, CORPORATE KICKOFF, OR INCENTIVE TRIP. Meet the C.O.E. - Creator Of Experiences. Get ready for a meaningful experience that your audience will love. Companies thrive on the passion found in Giovanni's one of kind programs. 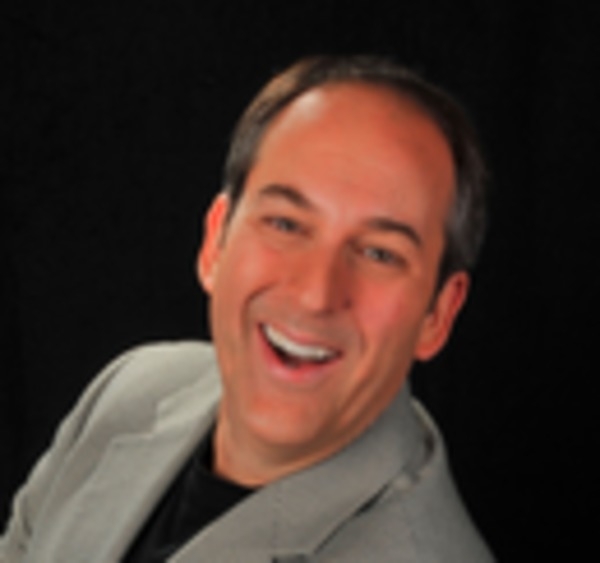 His transformational messages are tailored to your company's theme. GIOVANNI LIVERA found his "passion path" in life when he was seven years old and performed his first paid magic experience at the age of 10. In his early career, he produced and performed an entertainment concept for the Orlando Magic NBA franchise that filled the stands with fans and established him as both a superior showman and innovative entrepreneur. Today, Giovanni's unparalleled ability to motivate and transform people and organizations has made him one of the most sought-after corporate presenters in America, and his spectacular message has electrified over half of the country's Fortune 500 companies. In addition to his latest printed experience, Live A Thousand Years, Giovanni has authored three books and was recently nominated to the prestigious National Speaker's Hall Of Fame. He is also only one of five people in history to have received the coveted Gold Cups Award by the International Brotherhood of Magicians. 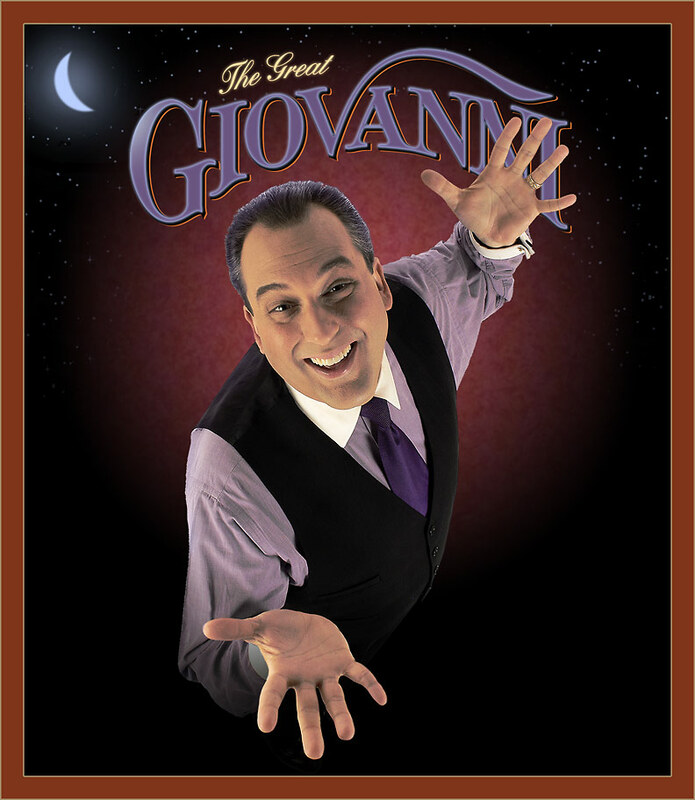 Giovanni has been creating meaningful experiences for audiences of all sizes for more than two decades. He invites you now to join the experience. GIOVANNI PRESENTS . . .
Giovanni shares his M. A. G. I. C. formula with your audience. 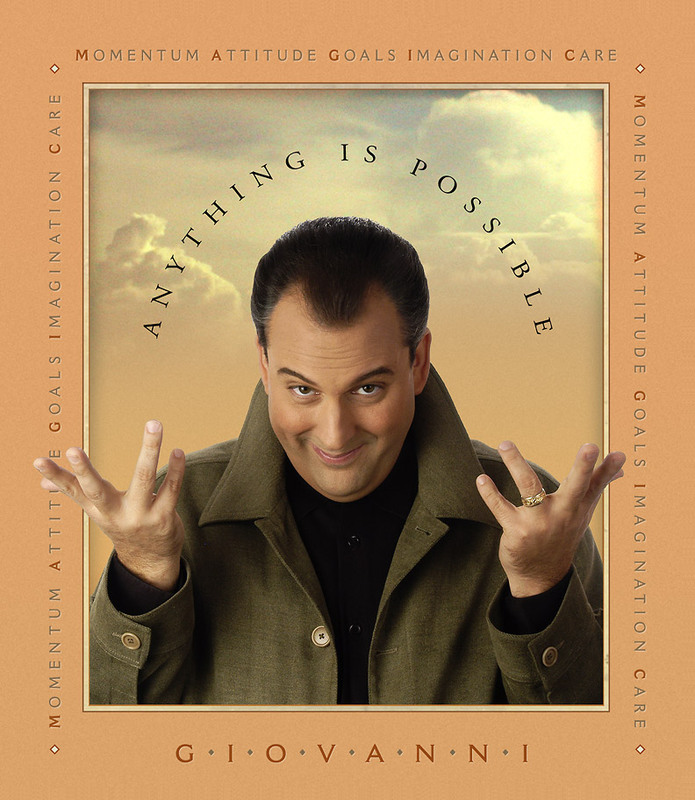 With his unique messaging, proven business tactics and select magic routines customized to your company's specific goals, 'Anything Is Possible' will inspire your audience to push past the sky and reach for new heights, solve problems creatively, and build long-lasting personal and professional relationships. (Download Program Overview for the details). At the heart of Live A Thousand Years are the Twelve Chimes, or twelve essential elements necessary to create a grand life experience. During his 'Live A Thousand Years' performance, Giovanni incorporates the Twelve Chimes into your company's own unique themes and messaging to deliver a customized, one-of-a-kind experience that is as invigorating as it is insightful, humorous as it is heart-felt, and whimsical as it is wise. 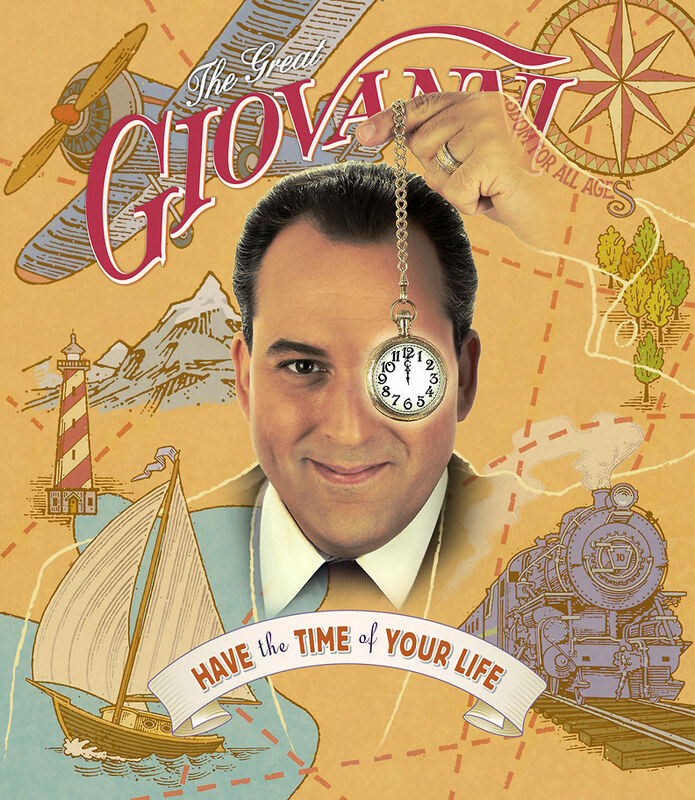 Request a complimentary first edition of Giovanni's celebrated parable, "Live A Thousand Years, Have the Time of Your Life! "(Download Program Overview for the details). Tantalizing sleight-of-hand and uproarious audience participation all conspire to provoke uncontrollable, belly-aching laughter during this evening-long magical tour de force. (Download Program Overview for the details). CONSULT WITH YOUR BUREAU PROFESSIONAL TO CHOOSE THE GIOVANNI EXPERIENCE THAT WILL ENERGIZE YOUR AUDIENCE. YOUR AUDIENCE WILL LOVE GIOVANNI'S BOOK! REQUEST GIOVANNI'S NEW BOOK FOR YOUR REVIEW. CALL US TODAY AND WE WILL SEND YOU YOUR COMPLIMENTARY FIRST EDITION! Live a thousand years? How is this possible? This captivating story teaches you how to live twelve times the life experience of the average person. Most of us measure our time by clocks and calendars. Live a Thousand Years reveals the power of measuring your time and your success by moments and experiences. This book provides solid strategies for you to create a more meaningful life filled with abundant happiness. Author Giovanni Livera, a leading corporate speaker, world champion magician and lover of life, introduces you to the twelve essential elements that will guide you in living a grander life experience. You will be entertained by the adventurous tale, enlightened by the wisdom, and transformed by the Document of Discovery included at the back of the book. Read Live a Thousand Years and have the time of your life. For many people, the past imposes limitations on who they are in the present. For Giovanni Livera, his heritage is the foundation for who he is today and the legacy he is creating for future generations. So who - or more appropriately, what - is Giovanni? Above all else, he is a celebrator of human spirit and human potential - a creator of meaningful experiences that transform people's lives through the understanding that anything is possible. He is a revealer of secrets - the wizard who, if asked, will show you how it is possible to live a thousand years by living each hour of your life to its very fullest. Giovanni is an entertainer who is both the messenger and the message. His passion for living is the medium through which he shares his passion for living. He is an American entrepreneur whose achievements inspire others to achieve. 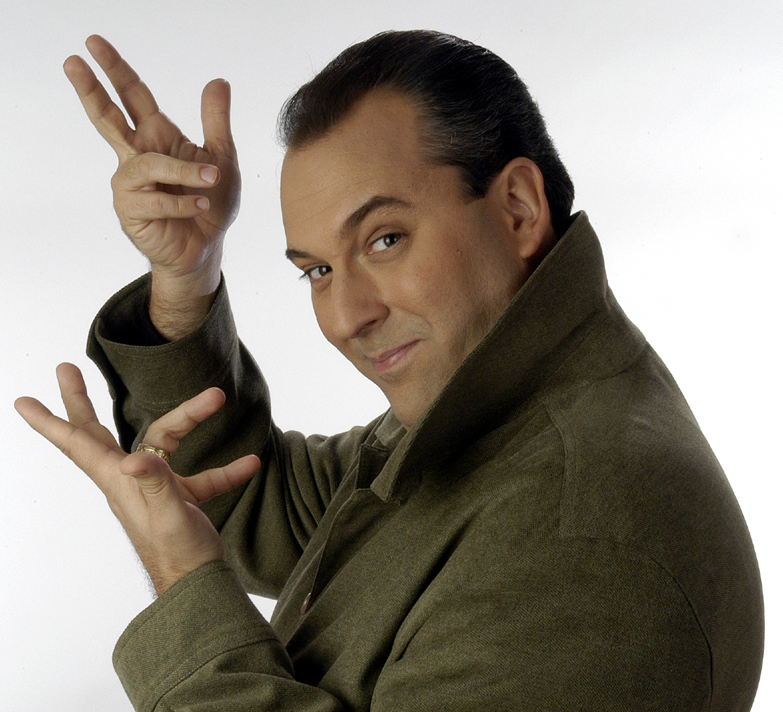 Giovanni is at once a performer and a presenter, enthusiast and entertainer, magician and motivator. At best, Giovanni can only be described - he cannot be defined, because he is unlike anything you have ever experienced. Try imagining a color you have never seen before. From past generations, Giovanni has inherited a profound respect for the power of individuals to create their own future. His unparalleled showmanship evokes the magnificence and grandeur of P.T. Barnum; his imagination, wonder and dramatic use of invention are reminiscent of Walt Disney; and his irresistible humor, contagious laughter and ability to connect with audiences on a personal level are suggestive of the levity and intimate sincerity of Red Skelton. It is from the contributions and legacies of performers like these that Giovanni is creating a legacy for future generations to draw from. It is only appropriate that Giovanni's heritage is Italian, for during the Italian Renaissance of centuries ago mankind emerged from the Dark Ages and envisioned a world of limitless possibilities. Giovanni is emergence, enlightenment, inspiration and celebration. He invites you to see the world as never before.